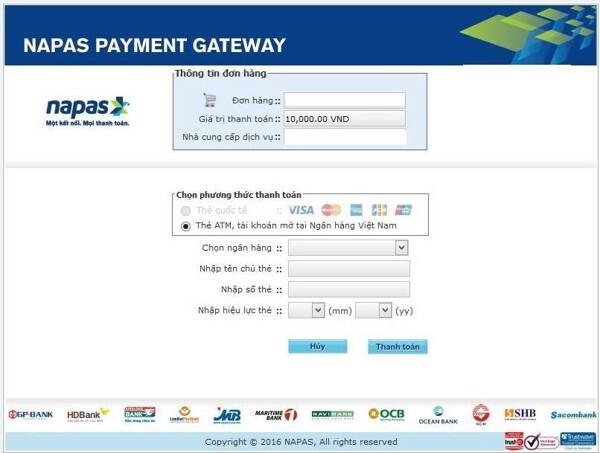 Click on "I accept all payment terms of Vietcombank." At the OTP password authentication page, enter the correct OTP number sent to the customer's phone by the bank and press the payment. 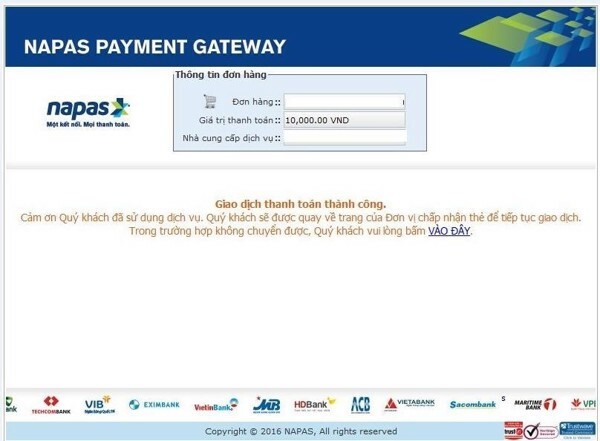 Step 4: The screen gives a notification of the successful transaction to the customer. 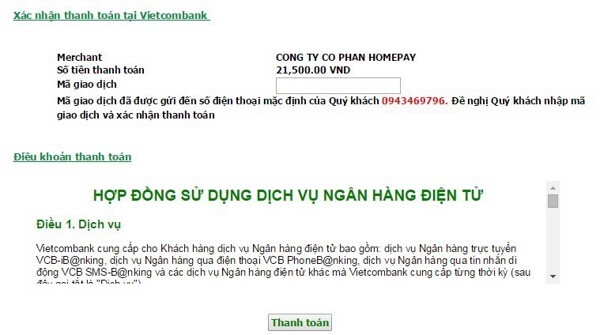 Click "I accept all payment terms of Vietcombank." 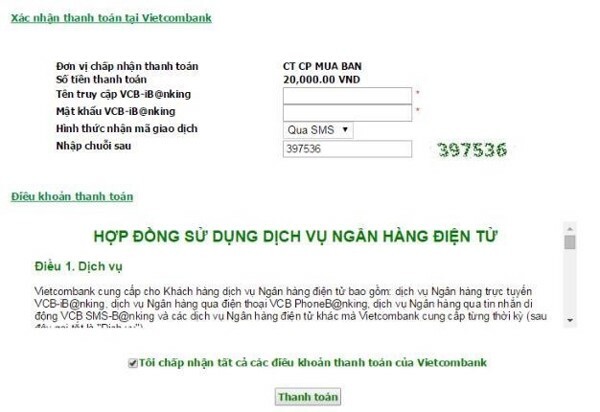 OTP is sent to registered VCB customer number.